Today we have with us on the Muse Blog Tour—Barbara Ehrentreu. During this past year, I have been getting to know and like Barbara, even though it is an online friendship. We aren’t just sisters in the Muse Family. Our books were accepted at the same time and Lea announced that the Muse “was being invaded by the Barbaras.” So we have kept up with each other through emails and on the Muse Gab Room and the Muse Author’s Site. We were both biting our nails hoping we would get permission to use quotes from Dr. Seuss in our books. And we did get the permissions. Wheeeeuuu!!! Welcome, Barbara. Barbara lives in Stamford, Connecticut, with her husband and two grown daughters, but she spent most of her life in New York State. She is a retired teacher who now tutors children who have learning difficulties. Since she was a little girl, she has loved reading and writing. A few years ago, she received her Masters in Reading and Writing K-12 and became a certified Reading teacher. Barbara stays very busy and wears lots of hats. She hosts Red River Writers Live Tales from the Pages on Blog Talk Radio every 4th Thursday. 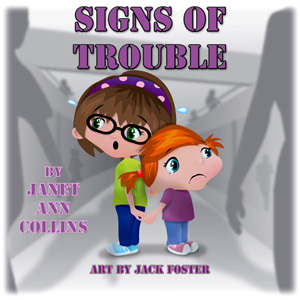 In addition, her children’s story, “The Trouble with Follow the Leader” and an adult story, “Out on a Ledge” are published online. She writes book reviews for Authorlink.com. and several of her reviews have been on Acewriters and Celebrity Café. She is a member of SCBWI. When she wanted to attend a workshop with Paula Danziger as the leader, she wrote three chapter of a YA story that just popped into her head. When Paula took an interest in working with her story, she was thrilled and decided it had merit. So in the next two years, she worked on finishing it. Being a part of MuseItUp Publishing has brought me another online family and I am thrilled to be one of the increasingly large members of this warm and encouraging group. Well, mates, I’m here to tell you that Barbara has a winner here. I have just started reading the book and am just getting into the conflict. Already I can tell that Barbara knows a lot about the teen mind and the situations that come up in high school. There are issues and also some romance. Here is an excerpt from Barbara’s novel, If I Could Be Like Jennifer Taylor, a young adult novel about the trials of being high school students. “If you have been checked on your somersault, you can jog around the gym until the bell rings.” Miss Gaylon is going to be nominated most annoying teacher in the whole school soon. Why do we have to run now? Did I have any energy to do this? Jennifer and I start to run, but soon she forges ahead of me. Is this a race, I wonder? Or am I so slow, she can pass me anytime she wants to? We’re halfway around the gym when suddenly I see Jennifer starting to slow down. She stops running and starts to walk. She looks almost white, and I wonder if she is really sick. “Jennifer, are you okay?” I pass her at a slow trot. Jennifer slows down, and soon she’s stopped completely. I look at her, and she looks way too pale. I grab her around the waist and walk her over to the bleachers. Miss Gaylon notices and comes over immediately. Jennifer looks dazed. Jennifer looks at me with surprise and happiness. “Are your plans off?” Becky keeps miming to me. Becky today. All of the lies I have told seem to be lying in a puddle at my feet. The bell rings for the end of the period, and I race toward my locker. I change in a flash and run down the hallway to my other locker. I grab my books and streak down to the front door. Meanwhile, I scan the halls for Brad. I don’t want to bump into him again. separated by a hundredth of an inch. This time we meet face to face in the middle of the front hallway. Jennifer walks out of the gym looking a little frazzled. Jennifer Taylor looking frazzled? lunch. We had to run, and I couldn’t keep going. Do you know who helped me though? She’s like my savior—Carolyn. She got me over to a seat, and I didn’t even have to go to the nurse. What a girl.” She smiles at me. Even better, Brad smiles at me, too. could postpone this you know.” I keep my fingers crossed. I look at Jennifer and wonder why she didn’t tell him about the makeover. Brad sticks out his bottom lip and pouts. “Thank you, Brad. You do understand don’t you?” Jennifer purrs to him, rubbing her hands up and down his arm. Brad puts his arms around her and gives her a big hug. Jennifer gets up on her tiptoes and kisses him on the cheek. I’m way too jealous to continue watching this sappy scene. Jennifer. I don’t think she cares about him as much as he likes her, but she can sure twist him around her finger. I want to learn how to do that, too. One minute he’s angry and sullen, the next he’s hugging her. For the fifty thousandth time in my life, I wish I could. Barbara, that is a teasing example of your story that leaves us wondering what is going to happen to these three youngsters. We just gotta find out! I’m so happy to welcome my fellow-writers to join me in the expression of our love of words and language. 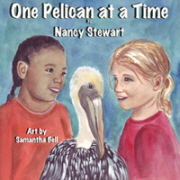 Nancy Steward and Janet Ann Collins have picture books published by Guardian Angel Publishing and Barbara Ehrentreu’s young adult novel is with MuseItUp Publishing in the MuseItYoung imprint. You can see by the name of Jan’s blog, “Onwords,” that she enjoys playing with words and her linguistic abilities come out in all sorts of way. Holly is a real-life friend of mine who is a member of the same SCBWI critique group that I am. She has a fantastic fantastical imagination. Thanks, Janet Ann, for posing the question. The arrangement of words is endless. And that is one of the fascinations with them. But words are also important, and not just for communicating. This line is from the movie Arabian Nights: “People need stories more than bread itself. They show them how to live and why.” But we wouldn’t listen to stories if they weren’t intriguingly told, the storyteller pulling words like magic from an imaginary hat. I have pages and pages of quotes that I’ve copied from books and other places. Sometimes the language is so beautifully put together that I want to be able to recapture the phrase at my leisure. I love words with a lyrical quality and words that evoke images and emotions. I think this why people say facts are just what’s there, but fiction is truth. In books, there’s a collaboration between writer and reader that creates the peoples and the situations. I love puns and you can be sure I will do a Monday Metaphor blog on them soon. I think punning is something that is used by the majority of people. Jokes are quite often built on a pun and perhaps that is why some people think of them as a low form of humor. Other people think they are a clever use of the language. I’m in the second camp. I think this is why people say facts are just what’s there, but fiction is truth. Not that non-fiction can’t be beautifully expressed, as well. It simply takes someone who knows how to put the words together. Words give us the power to plumb the depths of ideas and say truth. I remember as a young child, just before going to sleep, thinking about the differences and similarities in words. I can’t remember a time when the putting together of words was not a part of who I am. Today, if it is possible, that involvement with the language is even stronger. I almost consider it a different part of my being, where words are nurtured, coddled and codified to be revisited and used at a later date. For me, the use of language is a gift, and I treat it as such. In fear of being redundant, Jane Yolen’s, Owl Moon, is such a fine work. A poem, really, with words flowing off the pages, inspiring young and old with their magic. 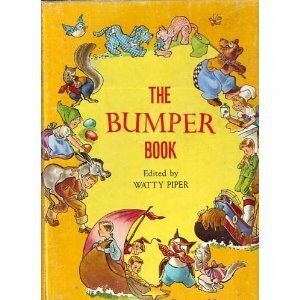 It is the seminal work that inspires me to be a better children’s author. It is a bellwether book to me. I first became interested in language when I was about three years old and my baby brother was learning to talk. Because he used intonation patterns and they expected words I could often understand him when the grown-ups couldn’t, which made me feel important. Just before my fifth birthday we moved from the East Coast to California and I was amazed at the different terms people used for things. For example, we had a sofa, but most of my new neighbors had couches and one had a Davenport. A couple of years later my Grandfather moved in with us. Every day when we came home from school he’d play his five-stringed banjo and we’d sing songs from the 1800s, which had many different terms than we normally used, in the lyrics. In Sunday School I heard passages from the King James Bible, which contained words and phrases even more different than the ones we used in our conversations. And, since I lived in California, there were lots of Spanish names for places around us. With all those differences, how could I not have become interested in language? I was always interested in words. I was so excited when I could read all the words around me. In third grade my teacher introduced me to poetry and I wrote a poem that was published in the School Bulletin for the whole school district. I also loved reading and my favorite was Alice in Wonderland with its fascinating and unusual words and experiences. Later in my life when I started wanting to take graduate courses, I majored in American literature and also I took a linguistics class. Finally I realized though I still wanted to teach I wanted to teach reading and writing only. But the truth is my fascination with words and writing continues as I write and read more and more. If I Could be Like Jennifer Taylor. What really captures me is when an author creates characters that feel real. By the end of the story I want to be able to tell you what that character would do in any given situation, what foods they like, what makes them laugh or cry, what scares them. This goes for the main character as well as the supporting cast. If there is one book (books in this case) that I can say has impacted me more than any other, it would be the Harry Potter series. I feel like I know the people J.K. Rowling created and, in fact, in my dreams we are all friends. When I’m searching for a good story, my number one criteria is to find one with characters who I want to spend time with, or in the case of Voldemort, who has enough back story that I view him as a real person with a troubled past. I like people. They’re diverse and entertaining characters. So I suppose it makes sense to want the same from the make believe ones. Thanks again, My Friends, for collaborating with me on this blog.